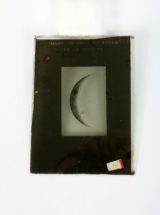 This is a set of seven large glass slides depicting images of the moon. Each 12cm x 16.5cm slide appears to be a copy of a page of a photographic atlas called “Photographie Lunaire” by Maurice Loewy and Pierre Puiseux (1910). Some of the slides have a red and white sticker in one corner. These slides are contained in a cardboard box that originally held unexposed slides. This has a warning label on the front. 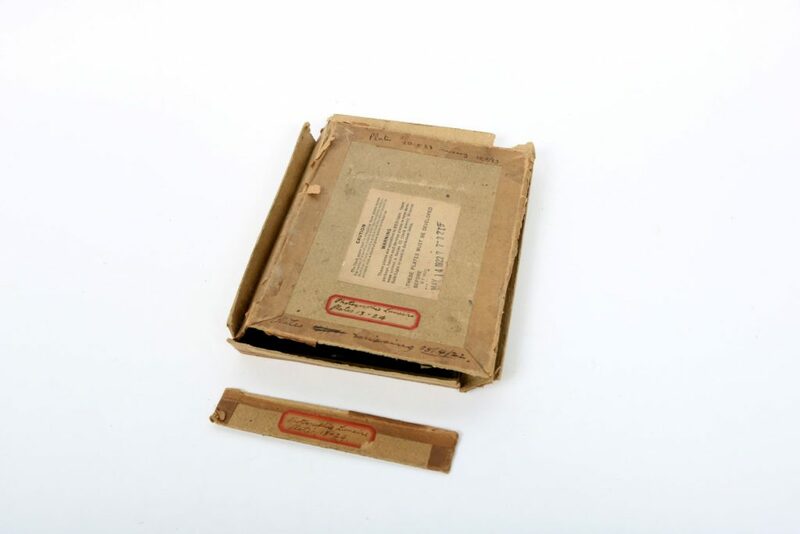 These slides were possibly used for demonstration or teaching. Fair: The slides themselves are in good condition, although they are all slightly chipped around the edge, and in places the film is beginning to peel off the glass. The stickers stuck to the glass plates are very worn and dirty and rendered illegible. 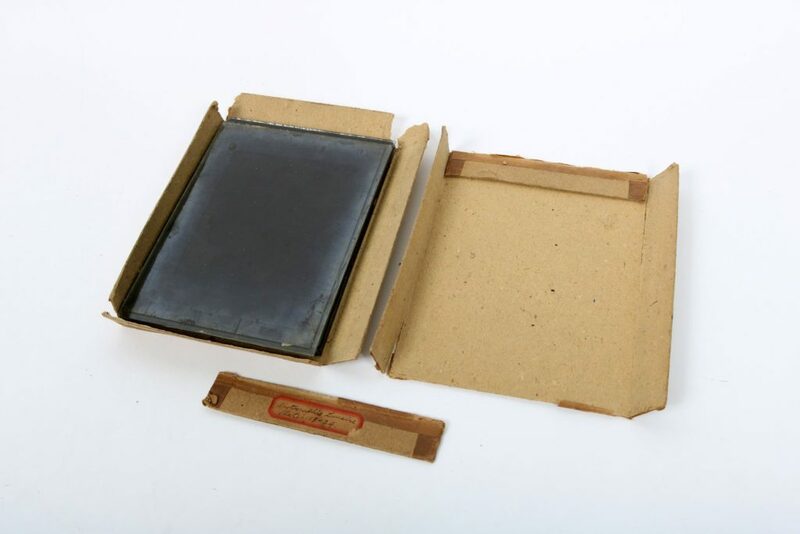 The cardboard box has collapsed; all the corners are worn and torn, and the surface of the box very dirty.